Agency. The candidate should hold a valid AEP. refundable Application Fee of Rs. 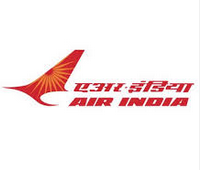 500/- (Rupees Five Hundred Only) by means of a Demand Draft in favour of “AIR INDIA AIR TRANSPORT SERVICES LTD.”, payable at Mumbai. No fees is to be paid by Ex-servicemen/candidates belonging to SC/ST communities. Please write your Full Name, & Mobile.No. at the reverse side of the Demand Draft. Walk-in-Interview: 09-12-2017 at 09:00 a.m. to 12:00 p.m.